JCI will officially spin Adient off into a new publicly traded company on October 3. DETROIT -- Johnson Controls, the world’s largest seat supplier, said the new seating and interiors business it is spinning off will be named Adient. Bruce McDonald, current JCI vice chairman and future CEO of Adient, presented the new company’s name as part of a presentation to investors at the Deutsche Bank Global Auto Industry Conference here. “The announcement of our new name is the first step on our journey to launch our new brand and to defining our future as a successful, independent company," McDonald said in a statement. JCI will officially spin Adient off into a new publicly traded company (NYSE: ADNT) on October 3, though the companies will begin operating independently July 1. The company said it will release detailed financial information to the U.S. Securities and Exchange Commission in late March or early April. The move is part of a larger strategy by CEO Alex Molinaroli to move JCI out of the automotive seating and interiors businesses. 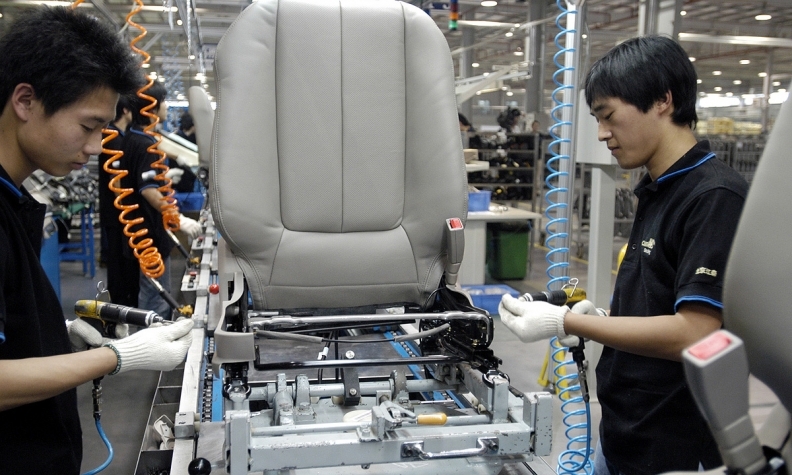 In 2014, JCI spun off much of its interiors business to the Chinese company Yanfeng Automotive Interiors. JCI retains a 30 percent stake in that venture. Adient will take ownership of that stake after the spin off,. The move will leave JCI with two core businesses: heating and cooling equipment and controls for buildings and batteries for cars and trucks. The automotive business, including its share of Yanfeng, reported sales of $20.1 billion in the fiscal year that ended Sept. 30, according to a report in the Milwaukee Journal Sentinel. In his presentation, McDonald said Adient will “implement new strategies that will drive higher levels of growth and profitability as well as strong cash flows” and “increase its investments in innovation in order to gain share and increase value to customers and shareholders,” according to a press release. Making the kinds of investments necessary to be profitable in the low-margin seating business is something JCI had decided it was not willing to do. In a telephone interview with Automotive News last June, Molinaroli cited two major reasons for the spin-off first proposed then. First, the auto industry is extremely cyclical -- with boom-and-bust cycles that can play havoc with a company’s cash flow. “The cyclicality is not something that we particularly like, and it drives some of our decisions,” Molinaroli said. McDonald and a number of other top executives will continue to be based in Milwaukee, where JCI is headquartered.